The Top 3 Things I Learned As A College Dance Major - The Let's Talk Dance Blog - Empowering Dancers To Create A Better Quality of Life! Are College Dance programs a waste of time? Are they legit, or are they a joke? Are they really worth all of the time and money? 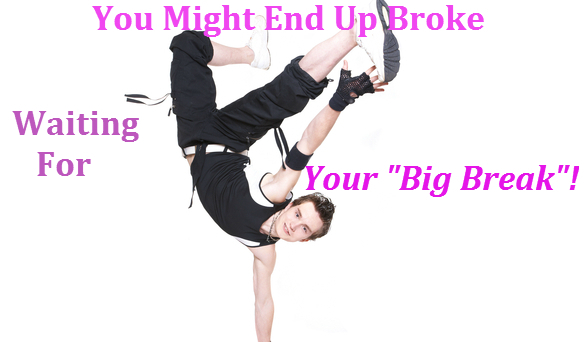 Do they really help you in your career as a professional dancer? I attended Connecticut College, and was a double major in Dance and Hispanic Studies. I knew that I wanted to get a Dance degree, but I also wanted to have another degree, as a back up. So, I majored in Hispanic Studies because I’ve always been interested in the Spanish language and culture, and I knew it would be very beneficial to me to be bilingual. I was even blessed with the opportunity to travel to Spain during my Senior year. But back to the topic of being a Dance major…. I will first say that, my experience as a dance major was phenomenal, and one that is truly priceless to me. I learned so much, and got so much personal attention from the faculty at my school throughout my college career, which played an integral part in my post-college career, and still does to this day. 1) How To Train My Body and Improve My Technique. The technique classes at my school were absolutely amazing! We had technique classes 5 days a week, and of course they were mandatory, as you received grades based on your attendance, technique, and progress. First and foremost, knowing that your grades/G.P.A. is dependent upon you showing up for, and working hard in your technique classes, already forces you to work very hard. But on top of that, you get personal attention from your teachers who are truly invested in your growth as a dancer. Additionally, you are surrounded by other like-minded, and hard-working dancers, who naturally motivate you to work harder, and really push yourself. It’s a great environment to be in every single day. 2) How To Become A Great Choreographer. The composition classes in our Dance program were really intense. They really stretched me and pushed me out of my comfort zone as a choreographer. I learned so many new ways to create shapes and imagery through choreography, tap into my emotions when choreographing, and explore levels and space in ways that I never had before. Through my composition classes, I was really forced to explore aspects of choreography, that I was very uncomfortable with, because it was so new and different. It was definitely a challenge. However, because I had such great teachers, and a wonderful and nurturing learning environment, I was able to reach new heights as a choreographer, that I never would’ve known about, or even been courageous enough to explore, outside of a college/classroom setting. 3) Staging, Lighting, and Production. This was one of the most interesting things I learned about while a college Dance major. As part of our requirements, we had to work as crew on several productions each year, in order to earn a certain amount of credits. We learned all about lighting design, stage production, stage managament, striking the stage, laying down marley flooring, stage cues, and so much more. Working back stage is a very different experience from performing on stage, but it’s an experience that every dancer should have in order to understand the full scope of what goes into creating a fantastic stage performance. You get the hands-on experience, plus the educational aspect of learning specific terminology and modes of operation for stage production, in a classroom setting. There are many other things you learn as a college Dance major including, Anatomy and Physiology, Health and Nutrition, and Injury Prevention, among others. You also have the amazing opportunity to work with famous and well-respected choreographers and dance companies at your school, that you woulnd’t get to work with otherwise (unless you made it through a grueling audition process). And of course, a college Dance program is the first place you begin to network, and connect with other dance professionals who may play an integral part in your post-college dance career. 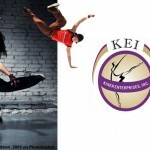 Overall, getting a degree in Dance is a truly valuable experience, and will definitely get you started on the road to success as a professional dancer or dance teacher (especially because many dance studios either prefer or require a Dance degree in order to teach at their dance studio nowadays). So, my advice would be to go for it. If you want to double major, or minor in something outside of dance, so that you have a back up plan in place, you can definitely do it. Just be prepared to work really hard and manage conflicting degree requirements and expectations. What do you think? Do you think professional dancers should go to college for dance? Did you go to college for dance? Do you think it’s a good thing? Please leave a comment below with your thoughts, and share this post on Facebook and Twitter. As a current undergrad dance student, I totally agree with this post. Although I am not a major due to the fact that I cannot afford to stay an extra year, I am essentially taking most of the same classes as my dance major friends. I have realized recently that due to the fact that we use our bodies to complete, and get good grades in our classes, this is a discipline in and of itself! Life is different as a dance major because, although you get the chance to party every once in a while, early Saturday morning rehearsals are not unheard of and so you must always take care of your body. Jordon, you are in the midst of the college dance craziness, so you definitely know firsthand how all of this comes together. Dancing in college, as a major or not, certainly requires some serious discipline. If you’re not on top of your game, you will not pass your classes, and you simply won’t be able to make it. Thanks Magnus for your comment. I’m in complete agreement with you, which is why I wrote this article. There aren’t too many other majors that I can think of that require such mental and physical discipline, and puts demands on the body and the mind. Dance majors definitely rock!